Running short of options up front with the injuries to Filippo Inzaghi and Alexandre Pato, it’s not a big secret that Ac Milan are eying a new striker in January considering the fact that Pippo will be out for the whole season. After series of speculations from the media, the Rossoneri through their coach, Massimiliano Allegri, has hinted that the team are preparing to sign a striker in the winter but it will only be a worthy player instead of just a temporary solution. Despite having two strikers injured at the moment, Allegri didn’t really regret the fact that in the summer the Rossoneri give away the likes of Marco Borriello and Klaas Jan Huntelaar, who have been doing pretty well in their new clubs so far. The former Cagliari coach stated that in the end the decision had to be made as the two strikers needed to be compensated for the arrival of Ibrahimovic and Robinho, not to mention the current injuries that hit Pato and Inzaghi is not something that can be predicted. “We made decisions,Borriello and Huntelaar are important players and nobody here doubted their value, Allegri aded. 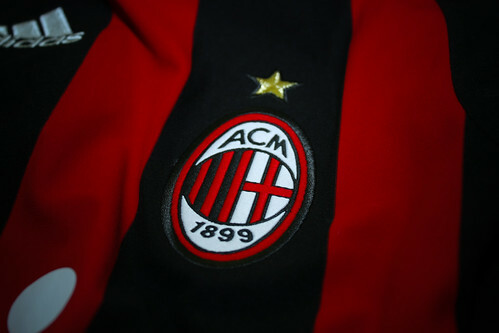 “However, nobody could have predicted the injuries to Pato and Inzaghi. We also found a solution that suited them. Although the Rossoneri will be having Pato back in January, surely the loss of Inzaghi would still need to be compensated, especially seeing how Ibrahimovic has been revealing that he is really tired because the need to play many games without enough rest. Having another striker would pretty much give the chance for Ibra to take some breathing space in the coming months and also a precaution should next year, there’s another injury to any of Milan current strikers notably Pato, who has been injured quite a lot. Allegri’s recent statement surely brings up further questions of who would be the “great” striker that will be tempted by the Rossoneri this January, some names that have been suggested are the likes of Mario Ballotelli, Antonio Cassano, Alberto Paloschi, Rolando Bianchi and Alessandro Matri. However, among those five names only Balotelli and Cassano that can be categorized as a high level player considering their talent.